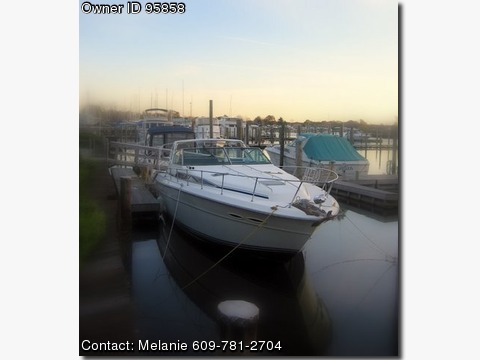 Call Boat Owner Melanie 609-781-2704.
shore power, 4 batteries, trim tabs, Cable TV hookup, AM/FM/CD, windlass, spotlight, swim platform. Full canvas enclosure. slip available, sleeps 6. Engines Mercruiser twin inboard 340 hp, 7.4L, 454 cid, Engine Hours 950.